As Obi-Wan Kenobi famously said in Star Wars Episode IV: A New Hope, a lightsaber is an elegant weapon for a more civilized age. Since fans first saw Luke ignite that legendary blue blade, everyone this side of the galaxy has wanted to own their very own lightsaber. Now with the grand debut of Star Wars: Galaxy’s Edge on the horizon, that lifelong dream can become a reality. 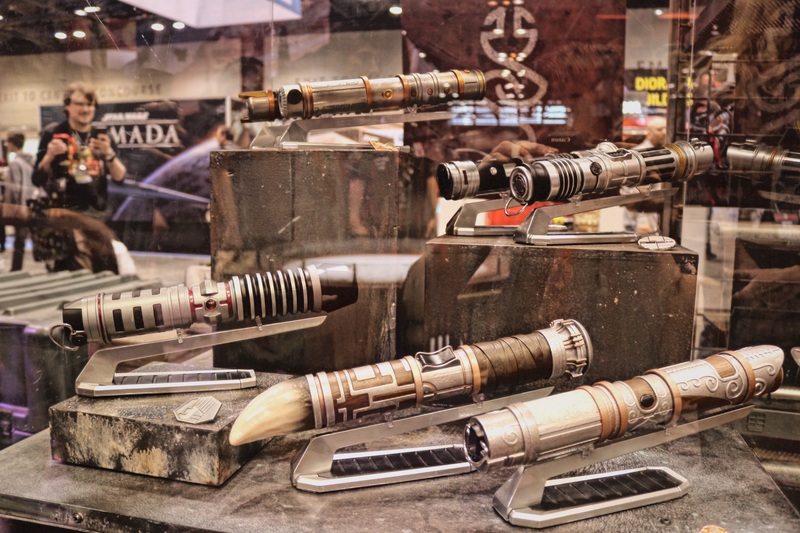 Depending on your chosen path, one of these custom lightsabers can be yours. When Galaxy’s Edge opens, aspiring Jedi and Sith will be able to go to Savi’s Workshop and build their own lightsaber. Four distinct choices can be made, bringing forth the personality and unique qualities of the one who will wield the blade. Though, for the first time, we have a chance to look directly at what it takes to build a saber, including the special kyber crystals that make the blade ignite. Each saber has the ability to bring forth special traits and color with the help of various kyber crystals as demonstrated below. Though, fans will also get the chance to bring forth the power of legacy lightsabers, available from all eras of the Star Wars Saga. These sabers can be found within Black Spire outpost from Dok-Ondar’s Den of Antiquities. Darth Vader’s lightsaber, the most infamous weapon in the galaxy, will be one of the many options available. We can now confirm that you can collect the following legacy character sabers: Rey, Mace Windu, Ahsoka Tano, Darth Maul, Asaj Ventress, in addition to a surprise model that Disney Parks has not yet revealed. “I am no Jedi!” Ahsoka Tano’s dual white lightsabers will also be part of the land’s Legacy Collection! Each saber comes with a collectible case and the option to add additional accessories that include a belt clip, crystal bag, and adjustable stand. Though the legacy sabers won’t be customizable, fans will get plenty of opportunity to create a truly personalized experience. Each crystal controls not only the color of the blade, but the potential to unlock the secret’s of the Jedi and Sith holocrons. By collecting various kyber crystals, custom blades can change color. When taking the crystal out of the blade, you can also use a special Sith or Jedi holocron, which will illuminate in the crystal’s color and reveal hidden messages from across the Force. Each holocron will have a default message, such as Obi-Wan’s warning to stay away from the Jedi Temple after Order 66. 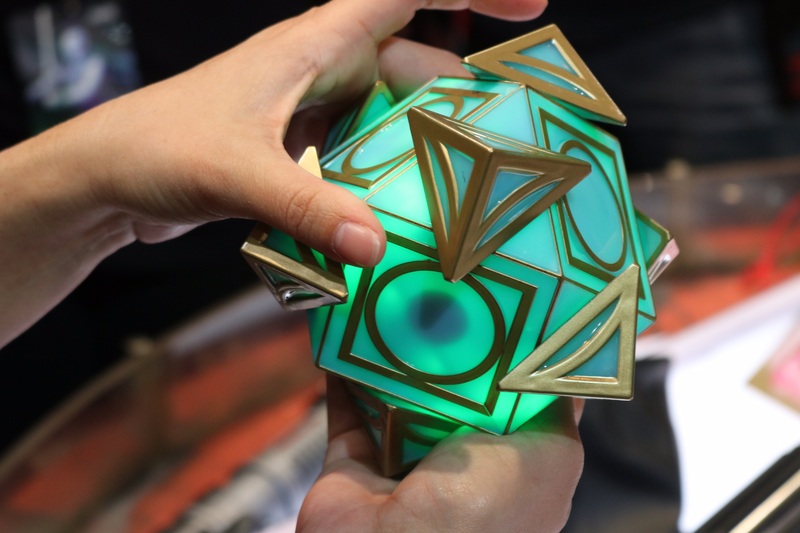 The holocron will glow based off the color of the chosen crystal, unlocking special messages, including famous Jedi such as Master Yoda. When collecting crystals, each message will reveal itself, with multiple variations and mysteries. Not all crystals will unlock the same message, so it provides a perfect excuse to collect as many crystals as possible. Each saber hilt will have a removable blade, allowing you to either display just the hilt, or to wield the saber at full length. It has also been teased that future accessories may allow for dual blades and more customization. Depending on which trait is chosen, a wide array of parts become available to create a truly custom lightsaber. Whether you want to live out your dream to be Ahsoka, or find your own story, this is one of the most personalized experiences to date. It’s part of Galaxy’s Edge wider array of merchandise, which includes a vast collection of unique Star Wars items. All of these items await you this summer!